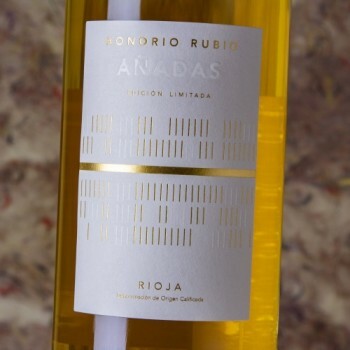 The white NV Añadas (Conjunto de Varias Añadas, a vintage blend) is from a solera of Viura wines from 2007, 2008, 2009, 2010 and 2011, aged in barrel for about five years on average and bottled in July 2012. This is exactly the same wine and bottling I tasted last time, but it was good to see that after some 16-18 months it's developing nicely and slowly in bottle, turning nuttier and keeping the diesel/mineral character. The flavors are pungent and the lively acidity is getting nicely integrated. A nice development in bottle. The idea is to release some 1,500 bottles per year. Elaborado a partir de mezcla de añadas. Crianza de 5 años en barricas de roble francés de 225 litros.